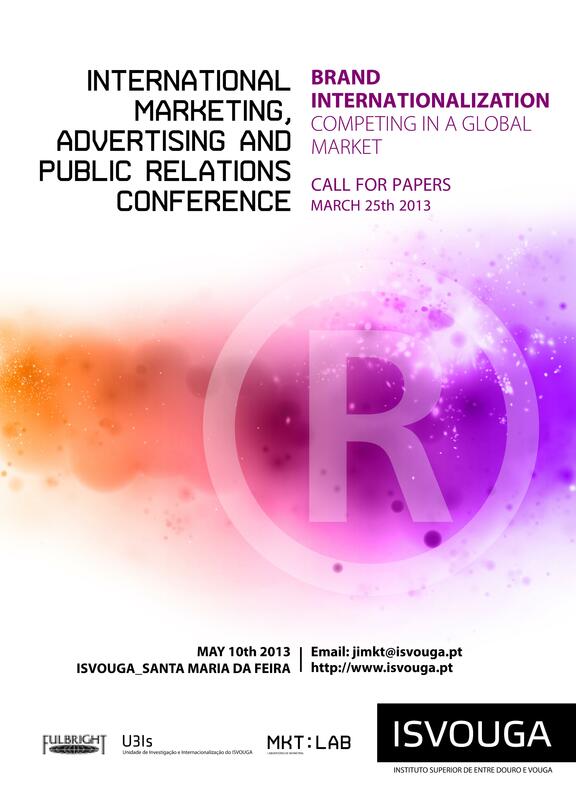 This conference aims to discuss marketing, advertising and public relations as fundamental management techniques to the creation of brand image in a global market and an increasingly competitive one, based on the contribution of the latest research in Portugal, Europe and the world. Therefore, carefully selected themes to be explored will focus on marketing and internationalization of companies and organizations, innovation and entrepreneurship and brand management, since we now live in an open economy, which requires that companies launch new and different products and services, surprising enthusiastic everyday customers. For the specific area of advertising, prominence is given to image and design, as well as the use of new information and communication technologies and the Internet. 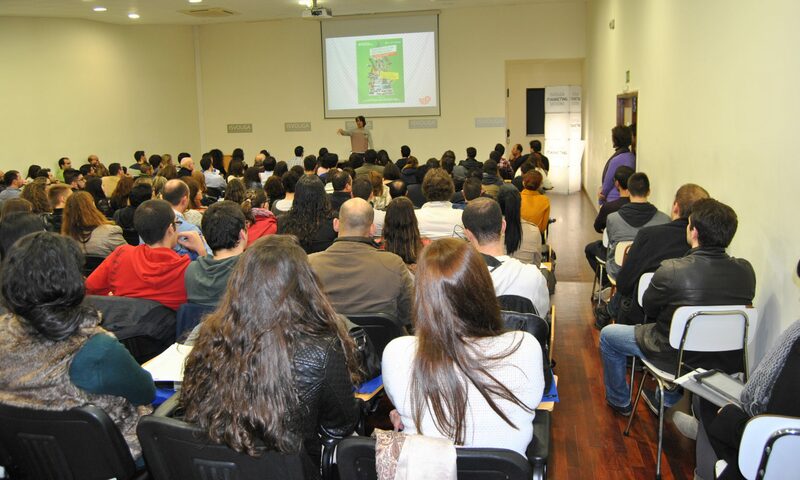 In the field of Public Relations, we will seek to explore the contribution of studies by researchers from several countries, conducted on the strategies and tactics of public relations, protocol and communication management in a crisis situation. The most engaging companies in social media post often, create tons of content that is less about the organization and more about the passion points that fans and followers share. Last week, we looked at the most engaging brands on Twitter and found that publishers rule the platform; in fact, seven of the 10 are publishers. For Track Social’s list of the most engaging companies in social media overall, half the companies are brands and half are publishers. It makes total sense. Twitter has turned into the new news feed, which is a perfect fit for publishers. But when it comes to social media engagement overall, brands are just as strong as the media companies. Track Social ranks the most engaging brands in social media based on how responsive the audience is to brand-initiated interactions on Facebook, Twitter, Linked-In, YouTube and Instagram. It is a measure of the quality of the brand’s social media interactions, and Track Social claims it directly affects the visibility of the brand’s activity on the platforms using their visibility algorithms (such as Edgerank of Facebook). Some in the top 10 were no surprise at all, like, for example, Disney’s first-place ranking. However, Publix’s besting giants like Walmart and Stop&Shop was a shock. Additionally, the inclusion of G4 Media was also a surprise. It’s obvious that the number of followers doesn’t matter. It’s quality over quantity in social media. It’s better to have a smaller audience that truly engages with the brand than having 1 million people who never even look at your content. Disney had 26.7 million interactions in one year to brand posts. Disney has made Track Social’s lists for most engaging on Facebook and on Twitter as well. The secret to Disney’s success in social media is that it places a tremendous emphasis on pictures that every American can feel nostalgic about. One example would be a photo of Cinderella walking down the master staircase in the palace on the way to meet her prince for the very first time. On YouTube, Disney has a video thanking Facebook fans, as the company reached 100 million fans on the platform in July. The video has been liked 11.4 million times. Yes, the grocery chain. With 25 million interactions to brand-initiated posts in the last year, Publix has a very different approach to social than Disney. Although it does post photos now and then, its posts are usually polls, meals of the week, videos and links to the Publix careers Facebook page. The photos it posts on Instagram and Facebook are food shots and on YouTube the strategy is to promote the Publix Simple Meal recipe program. Each platform has a very unique purpose, but they all work to complement each other. Bud Light had 23 million responses from consumers to brand-initiated posts in the last year. Bud Light loves contests, and it really does a good job of using its social media presence to get the word out. On Facebook and Twitter posts for its Be The Captain contest got a high number of interactions from fans. Its Instagram has photos of Bud Lights and some are fan photos, which makes things a bit more interesting. YouTube houses its commercials. Fox News, the highest ranking publisher on this list, has 17.6 million interactions with brand posts in the last year. Its content on Twitter and Facebook is mostly breaking news, videos and exclusive interviews. It posts often on Twitter, Facebook and YouTube, ensuring that fans and followers always have a reason to come back for more. The king of beer clocked in at 16.4 million interactions to brand posts in the last 12 months. It’s strategy is very similar to Bud Light’s. There’s a greater focus on images, thought. The posts on both Facebook ad Twitter all get a lot of interaction, and Instagram has fan submissions. YouTube is for TV commercials and online promos. Harley got 15.2 million interactions to its posts in the last year. Its success in social media stems from the fact that Harley enthusiasts are going to get excited over photos of bikes. It’s YouTube channel is pretty cool with exclusive interviews and other online-exclusives. NBS Sports had 14.7 million interactions to its posts in the last year. It was really getting a lot of engagement during the Olympics, and no doubt that helped its ranking. Photos of Olympic moments, videos, open-ended questions were all getting buzz during the Olympic and Paralympic games. HuffPo had 12.3 million interactions to posts in the last 12 months. It posts a lot on Facebook and Twitter. It has posted on Twitter 10 times in just the last 26 minutes on Twitter! It has just 39 videos on YouTube, however. They have been viewed just under a million times. Everyone likes to save a little money! That’s why CouponCabin has had 11.7 interactions to brand-initiated posts in the last year. It uses Facebook and Twitter to distribute its best deals each day. It also gives tips for saving money and promotes its contests. YouTube houses promotional videos, like one for the CouponCabin mobile app and also profiles of top stores to save at. G4 Media, a cable and satellite network, comes in tenth place with 11.4 interactions to brand posts. It posts news, videos and photos targeted at the gaming tech enthusiast.